Samui Palm Beach Resort, a beachfront resort famous for its 270-meter long beach area, the longest in all of any resorts or hotels in Koh Samui. This beautifully landscaped tropical park offers 129 guest rooms for all guests with any purposes of traveling. With 2 swimming pools, 2 conference rooms, world-class restaurant, and lavish beachfront leisure area overlooking Bophut Beach and the view of Koh Pha Ngan in the Gulf of Thailand, Samui Palm Beach Resort truly is the ultimate Samui experience. Located in Bophut, a former fisherman village which combined Thai and Chinese styles from back in the days, this amazing location at the northeast tip on the island allows guests to have easy access of pretty much everything this gem of the Gulf of Thailand has to offer; pristine sandy beaches, stunning tropical paradise views, shopping arcade, entertainment venues both day and night, natural exploration, one-of-a-kind activities and all the once-in-a-lifetime moments that you’d expect from Koh Samui and its surrounding neighbors. 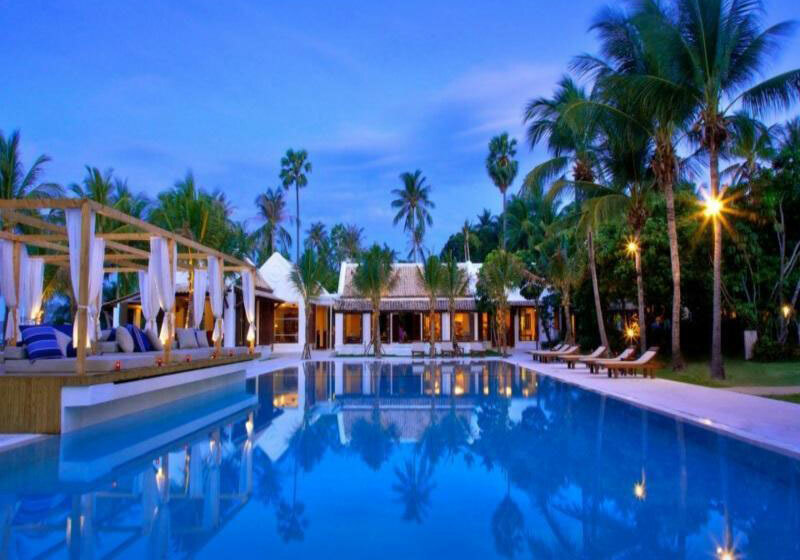 Short Description: Samui Palm Beach Resort, a beachfront resort famous for its 270-meter long beach area, the longest in all of any resorts or hotels in Koh Samui. This beautifully landscaped tropical park offers 129 guest rooms for all guests with any purposes of traveling.